Harlem Lovebirds: So What's the Big News? 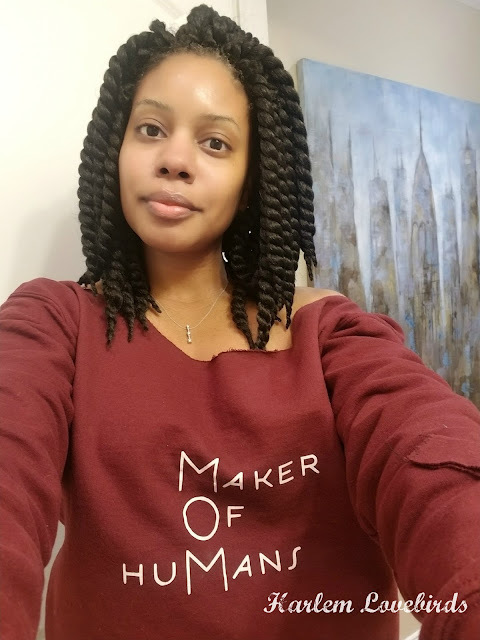 Last year after attending my first blogging conferences (BlogHer and Blogalicious) I started thinking about my blog differently and as a result some amazing opportunities began to open up. I'm in a much different place with blogging now than I was a year ago (and I still have quite a ways to go! ), but one of the goals that stood out to me time and time again during the conferences was about forming authentic partnerships with brands. Coming from the professional world of marketing and advertising I understood the business-side of the industry and over the past year I've looked for opportunities to align myself with brands I really believe it. 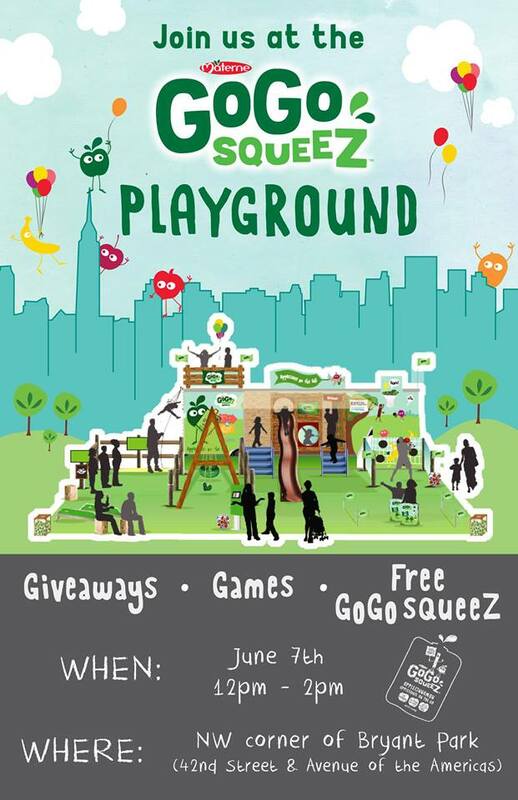 With that in mind, I'm excited to announce my first brand ambassador position as part of NYC's GoGo squeeZ Squad! As part of the squeeZ Squad I'll be spreading the message (and yumminess!) 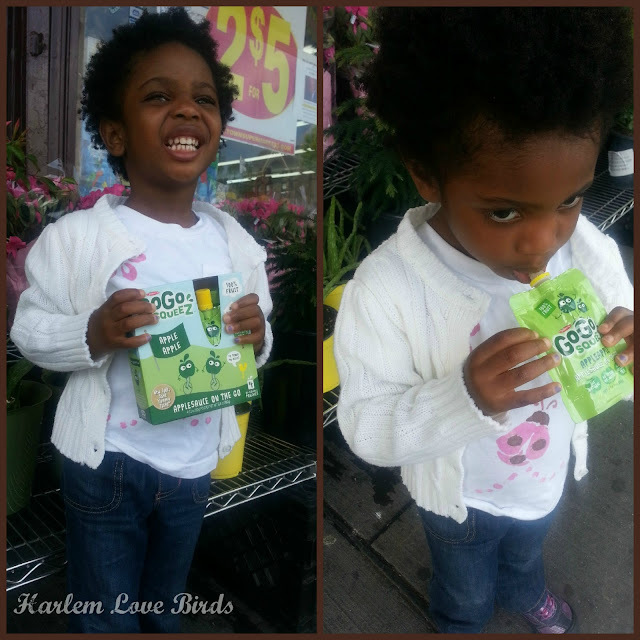 of GoGo squeeZ throughout the city! If you follow my blog regularly - and on Instagram especially - you know I love being out and about the city and seeking out unique and engaging events to enjoy with my family. Most importantly, it's a natural partnership of which my Lil Love Bird fully approves . . .
And speaking of Nia, we'll be at Bryant Park today (rain or shine!) celebrating at GoGo squeeZ's mobile playground so if you're in the area please come play with us! There will be a special celebrity guest appearance (be sure to follow me on Instagram to see who it is! ), and I'll be back here of course to share an event recap soon. To learn more about the squeeZ Squad check out this link (scroll all the way to the bottom). I'll be sure to let everyone know once it's updated with my profile as well! Do you or your kids like GoGo squeeZ? Which is the favorite flavor in your household? P.S. Stay tuned later this morning for a fab giveaway . . .